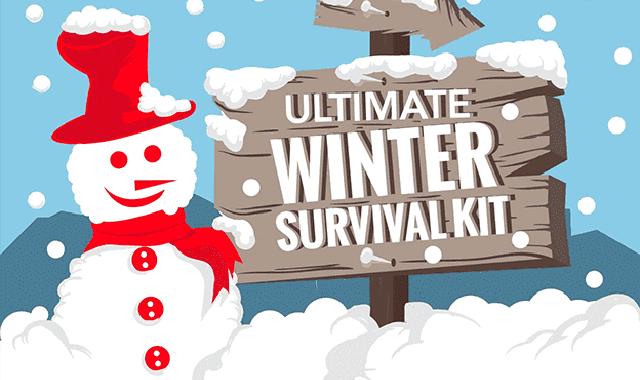 Ultimate Winter Survival Kit #Infographic ~ Visualistan '+g+"
Across the USA, winter is tapping on the doors and in some areas people have already donned their chunky knit sweaters and wrapped themselves up in thick blankets. Winter lovers are ready to welcome this season with open arms. They are joyous because they have managed to put the sweltering heat behind and all set to stay at home and enjoy drinking hot chocolate. However, winters are not all sweet; it is one of the most unpredictable seasons. It brings the extremely cold temperature, ice storms, blowing winds and power outages. You don’t know when you can fall victim of the gruesome winter season. Therefore, you should efficiently prepare yourself for this bleak season to avoid any mishappening. To help you out, we have brought to you the best tips to survive in winter or snowfall situation.